I normally don’t post pictures of myself first thing in the morning, but this one was too sweet to pass up. Dylan took this of our morning routine. Kyton usually wakes up around 6:30, the same time Dylan’s alarm goes off. Dylan changes him, and brings him to me where he enjoys breakfast in bed. He eats, we sleep, he eats, we sleep until around 10, when we get up for the day. He’s not the most still or quiet sleeper, which is why he sleeps in his own room over night. I have a bassinet next to the bed that I’ll sometimes use when he’s too restless, but for the most part he is much happier right next to, or on me. I treasure every minute of this time with my precious boy. I found out that the library has story time that is geared toward newborns, but it starts at 9am. Really? Do most parents get up that early? Those of you that are parents, what time do you usually get up for the day? I saw the Mom of Boys blog hop, and had to participate. I am a new mom to a 5, almost 6 week old boy. He’s pretty amazing, the kid moves all the time. I think he must have baby ADD. He’s had some fussy evenings lately, but he loves music, and bobs his head to Black Eyed Peas, U2 and Pink. As soon as the song ends, he resumes being fussy. He rolled over this week. I thought it was a fluke, but he’s done it two more times. Before you start thinking that my son is advanced for his age, he stops nursing, and cries when his food is inches from his mouth. I absolutely love being a mom. 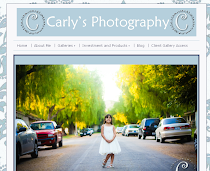 I started blogging about two years ago as a way to share and develop my photography. Now it is mostly a place for me to share our life through pictures. I’ve always loved taking pictures of babies, and with my son that I can photography all the time there are a lot of baby faces on my blog. I take pictures of families, wedding, children and babies, and occasionally share those on here too. I recently added a favorites tab, where I listed some of my favorite blog posts. (The Now and Then pictures are by far my favorites.) Thanks so much for visiting! Our dads are both pastors, so they both officiated the ceremony. It has been an amazing 5 years beginning with a honeymoon to San Francisco, CA. Since we were getting married in the heat of the summer, and we lived in Florida, the last thing we wanted was a tropical beach honeymoon. San Francisco was the perfect destination with plenty to do, and somewhat cool weather. Dylan has always had a little hair on his head since he has such nice curls. After our wedding I gave him a buzz to see how it would look… we decided he looks better with the curls. Soon after we were married we purchased our first home. If we knew then what we know now…(that the housing market would crash.) Our year was spent with many home improvement projects, and visits from both parents for help. We love to camp, and have spent countless weekend in the last 5 years in our tent in the woods.We’ve been pretty much everywhere in Florida. During the summer of 2007, I began grad school. This meant that I needed to be near a computer. For vacation we rented a car and drove all over New England. Dylan drove, and I navigated and worked on the computer. We actually had two weddings, as a friend of ours who is an amazing party planner hosted another wedding for us a little over a year after our first. Unfortunately, I was murdered at this second wedding, and the rest of the time the guests tried to figure out how I died. It was a murder mystery party! My sad husband drowned his sorrows with wine. Other highlights of the year include many trips to Disney World (Animal Kingdom in this picture) and our annual trip north to Ohio, Pennsylvania and New Jersey for Christmas. We had planned to go away for the weekend, but spur of the moment decided to make it a 4 day weekend, take off work and go snorkeling in the Florida Keys. And at the end of 2008 I graduated with my masters! 2009 – A year of great vacations! In February, Dylan’s family visited for a week. We went to Blue Springs and saw the manatees. Trip of a lifetime to Vancouver, Canada. And some time walking on Glaciers and exploring the Kanai Peninsula, and Anchorage. Later that summer, we visited Dylan’s parents, and went on a Ducky Tour of Pittsburgh and attended a friends wedding. For Labor day we invited 18 of our closest friends to go camping with us at Juniper Springs. We shared our love of snorkeling. In November we took a cruise to Grand Cayman Island, Belize City, Belize, Rotan, Honduras and Cozumel, Mexico. Did I mention that we love snorkeling? Dylan was in To Kill a Mocking Bird. He was Bob Yule, the bad guy, so he grew out his hair and beard to look scruffy. Hours after the last performance he shaved, and got a hair cut. Weekend at Sebastian Inlet. Can you tell we love getting away and heading to the beach? Weekend in Tampa, Clearwater and Saint Petersburg. Long weekend in the southern Georgia coast, north of Jacksonville for Memorial Day weekend. Love the beautiful beaches. The center below is one of my favorites! We went backpacking with my sister and her BF. Checked out the crazy people at Venice Beach… oh that’s my sister and her bf. Love you sis! There was also plenty of hiking. We made the drive out to Vegas where we stayed for 3 days. We also visited the Hoover Dam, and Red Rocks. I’m not much of a city person, but enjoy nature. Love the camera remote and the gorilla pod. We also saw the tar pits, the taping of a game show, the Griffith observatory, Riverside and I’m sure a few other things I’m forgetting. On the way to San Diego we stopped at a winery. The picture below was taken by my sister. In San Diego we visited the main tourist attractions including yelling at the people who now think that they should be allowed in seal beach, instead of the seals. It was unplanned, but Dylan’s two cousins, and parents were in town at the same time, so we hung out with them for a few days. Loved our sunset hike in Torrey Pines, Gorgeous! Don’t tell, but for our actual 4th anniversary we were across the country form each other. I stayed in California another week, and Dylan went back to Florida since he does not have as much vacation time as I do. We celebrated the day later on with a dinner out, using a gift card his aunt sent. We feel like its not the actual day that is important, but celebration with each other. Dylan loves to act, and was given the lead role in the Musical Bye Bye Birdie. His mom even came down to see him. As with pretty much any long weekend for Memorial Day, we left town. Sanibel Island and Naples was the destination of the the weekend. The last day of our trip we visited Honeymoon Island, it was a bit of a hike, but deserted once we arrived. It was wonderful! In October we got some exciting news! I was a little over anxious with the tests! Finally Dylan agreed that it must be true, a baby is on the way! Thanksgiving week we took a cruise, this time to the Western Caribbean. We invited both sets of parents, and shared some exciting news “We’re having a baby!” It is the first grandchild for both sides. We visited Gran Turk, Saint Maarten, San Juan and Half Moon Cay. Guess what we did? Snorkeled!!! In December we saw “ICE.” When they say it will be cold, they are not lying! Especially since we live in Florida and are used to hot temperatures! Over Christmas vacation, we visited the house from a Christmas Story. It happens to be near my parents home near Cleveland. 2011 – What a great year! We were blessed with a shower from my friends at work, and our friends from church. We spent a lot of time rearranging, and getting ready for the baby. My belly continued to grow and we became more excited for our arrival! Memorial Day weekend, we followed our tradition of getting away, and had a baby-moon in Saint Augustine. June 18, 2011 – Our lives changed in the best way ever. Kyton was born, and we became a family. Dylan is a wonderful daddy to our little boy. When he arrives home from work, he puts everything else aside and spends time with his son. They both love the Moby wrap and taking family walks. Dylan holds him close and whispers in his ear or sings to him. Dylan, On our fifth anniversary, as I look at the images of our marriage. I love the first five years we had together and all of things we were able to do, and see. How we built such a strong marriage with so much love and trust, and built on our faith. I knew when I married you that we were going to have an amazing life, but I had no idea how blessed we’d be. Thanks for an amazing five years! I’m looking forward to many more!